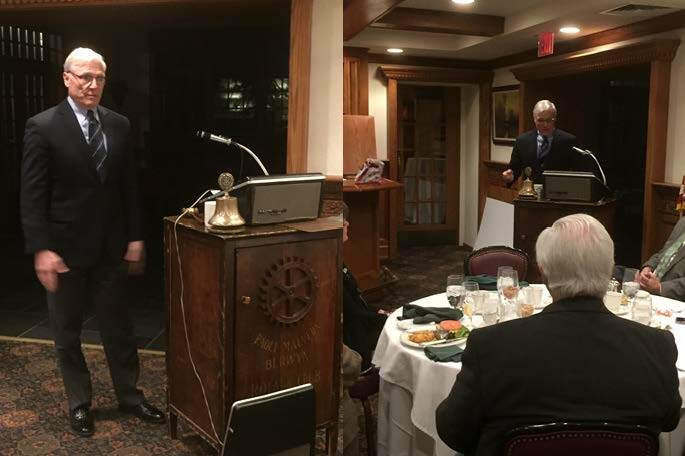 At our meeting on January 18th, we heard an enlightening presentation from Captain Bill Pinamont of the Chester County Office of Veteran Affairs. Capt. Pinamont had a highly distinguished legal career with the US Navy. He has had a robust civilian law career and is currently performing public interest work on behalf of Chester County veterans. He has represented numerous clients before the Board of Veterans Appeals and the US Court of Appeals Veterans Claims in Washington, D.C.
State law requires every county to have a VA office but doesn’t fund them. Consequently, the funding comes from county taxpayers. These county offices help veterans receive medical and mental health treatment and resources under VA Benefits. Captain Pinamont acts as an advocate for Chester County veterans who have been denied benefits or had their benefits reduced by the VA. These VA offices advocate for medical and mental health benefits, pension benefits, provides support to vets with suicide ideation and work with families whose veteran committed suicide. They provide links to other resources including job training and educational benefits. Over the next 12 months, over $10,400,000 in financial benefits will be distributed to about 3,000 county veterans through the Chester County VA Office’s efforts. According to Pinamont, that’s just the tip of what should be received. As Pinamont pointed out, much of that $10 million will most likely be spent within the county.